Bangkok, one of the places where people usually go for cheap shopping and good food, but the night life is pretty bustling as well. 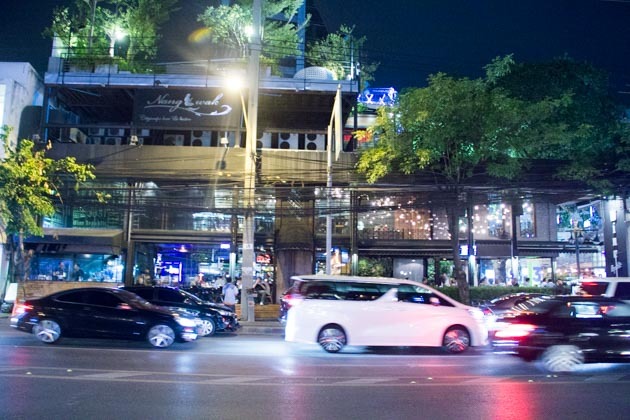 Bangkok is home to many home-grown bars and pubs as well as international ones, and it’s quite a thriving industry if you actually hit the streets at night to explore. 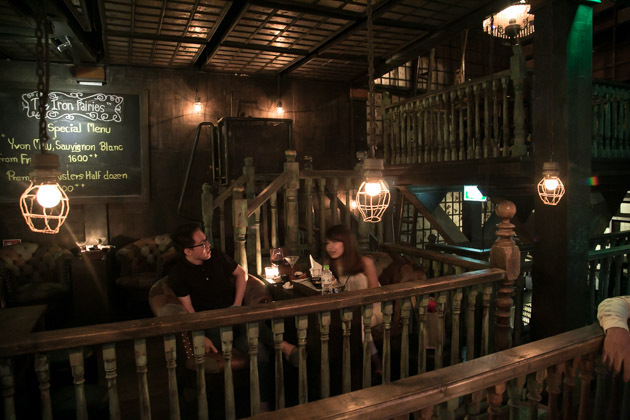 We wanted to find some interesting bars to chill out at, without being too overly pretentious or stuffy. Great for tourists and locals alike. 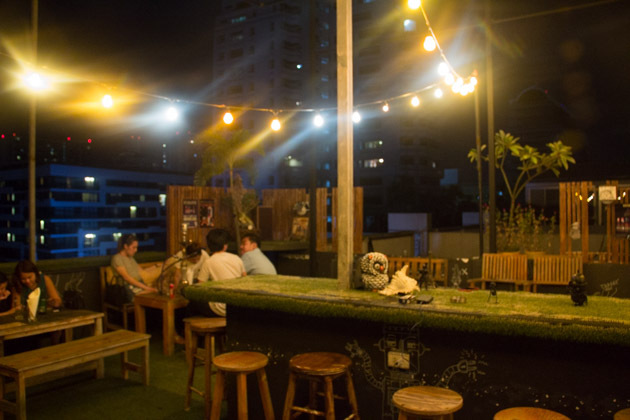 Read on as we take you through some chill-out, casual bars in Bangkok that we like, mostly for the atmosphere but some with pretty good cocktails as well. 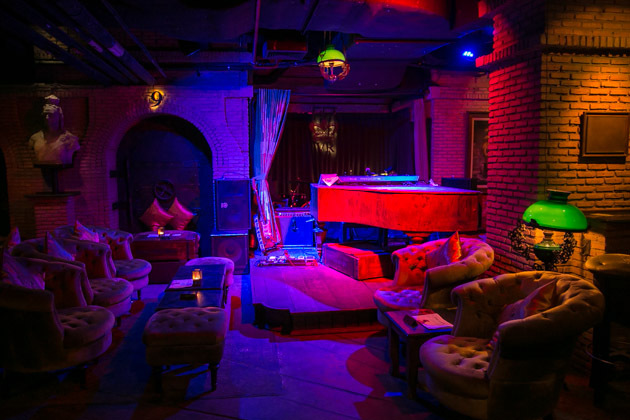 A magical underground cabaret full of mystery, romance, jazz, reminiscent of 1930’s Shanghai, Maggie Choo’s was named after the Shanghai cabaret owner who fled her hometown in 1931 following the Japanese invasion. 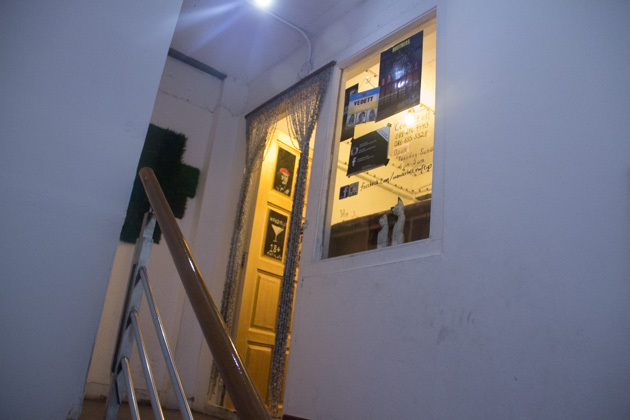 Shortly after arriving in Bangkok, she found a 19th century Thai Chinese shoe box restaurant crammed into a basement 10 meters below Silom road. She later discovered an entrance that led to a derelict space that used to be a bank vault, she then converted it to a cabaret bar which is now Maggie Choo’s. Dimly lit with blue, purple, red and green lights scattered all over, creating warm and romantic ambiences. Do check their website on more information on dress-code; shorts and slippers are not allowed. Live bands, beautiful ladies appearing in random spots, Maggie Choo’s has a unique setting that’s bounds to keep you on your toes. This unique setting was designed by famed designer, Ashley Sutton and you can see his industrial style infused within. 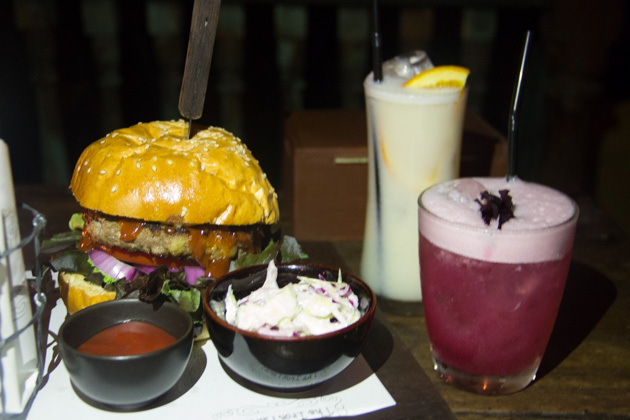 Oskar is a casual bistro bar offering quality food and drinks. Two stories filled with seats, this is one place where you can see tons of tourists and locals alike. There are ample outdoor seats for people who smoke as well. 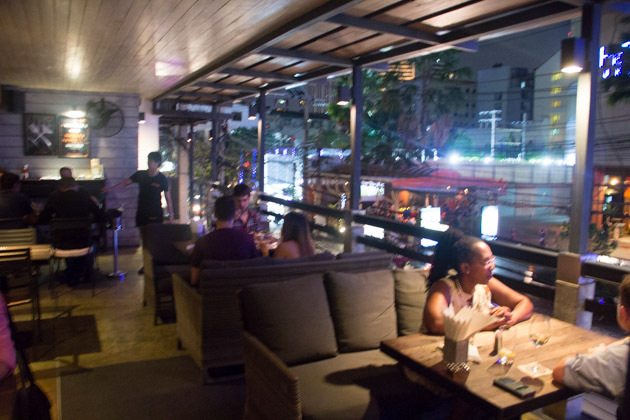 Overlooking the busy Sukhumvit street over a drink with your friends is definitely one of the best feeling ever. 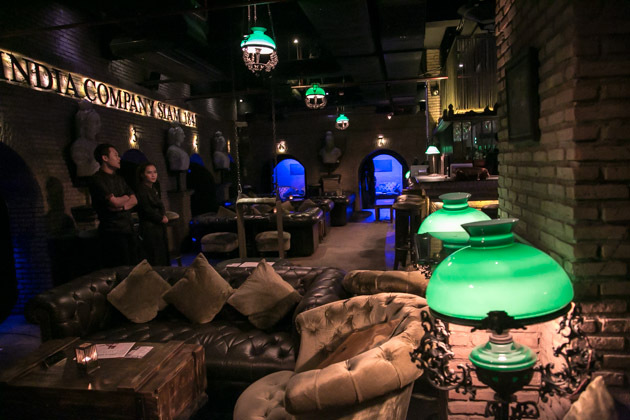 And with Bangkok’s Best DJs spinning Soul, Funk, Hip-Hop and House Music, alongside great entertaining acts, you are ath the right place at Oskar’s. 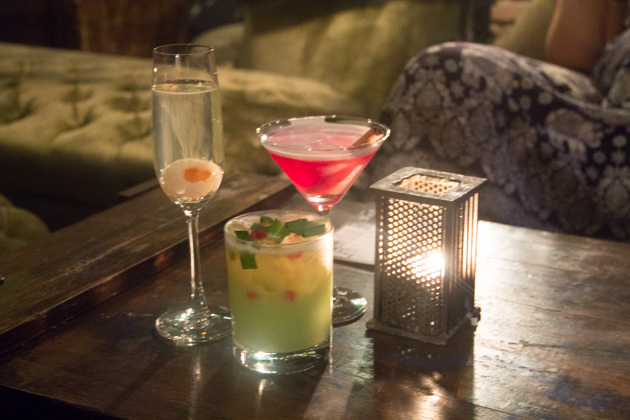 The cocktails are really amazing too, with the rose lychee martini being one of my favorites. 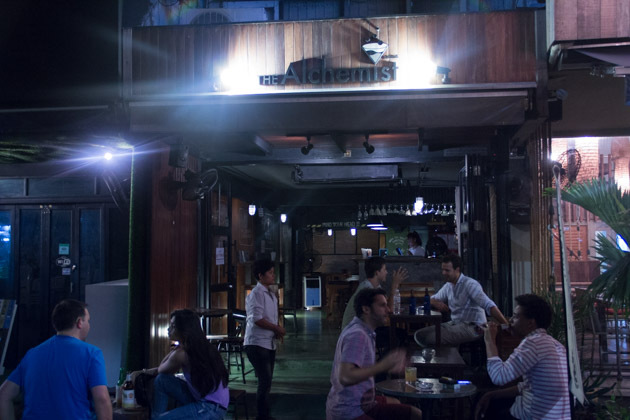 As the name suggests, drinks are really cheap at THB 80 across all on their drinks menu. Cheap Charlie’s was first established between a partnership of Charlie and his brother Satit. 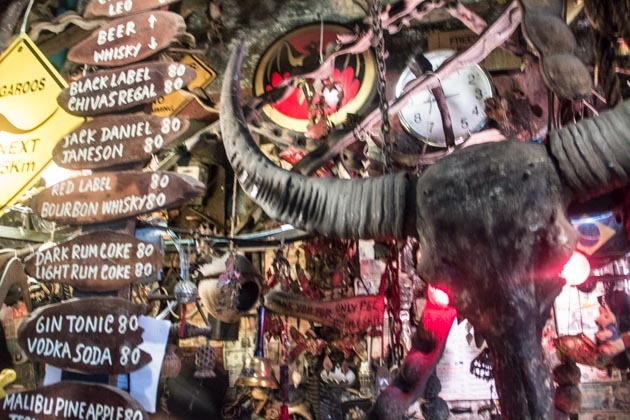 Along its operation, customers bring and display strange looking artifacts from all over the world for the bar so it’s appearance will always be evolving. This explains all the exotic-looking things hanging all around Cheap Charlie’s bar. 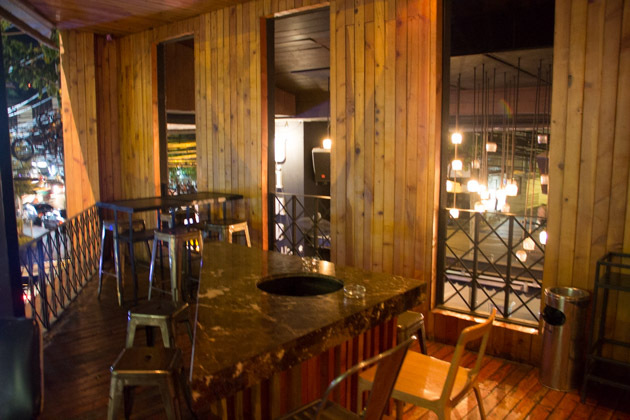 A quaint and casual concept bounded just within a counter/bar, small tables and chairs are scattered all outside. Mostly seen are foreigners and tourists chit-chatting over a cheap drink by the roadside. Just walk down the same soi and you will reach Oskar’s Bar, 5 minutes’ walk away. Wanderlust rooftop bar was admittedly the hardest to locate as the vicinity was so quiet and gave no slight-feel that a rooftop bar was nearby – very speakeasy. Took us a while to find it after asking the restaurant staff below. But once you spot the building it is in, all is easy from there on. Just further into the alley from Cheap Charlie’s is another hip place to get drinks except this is not as cheap of course. The Alchemist is also a short walk from Nana BTS Station. 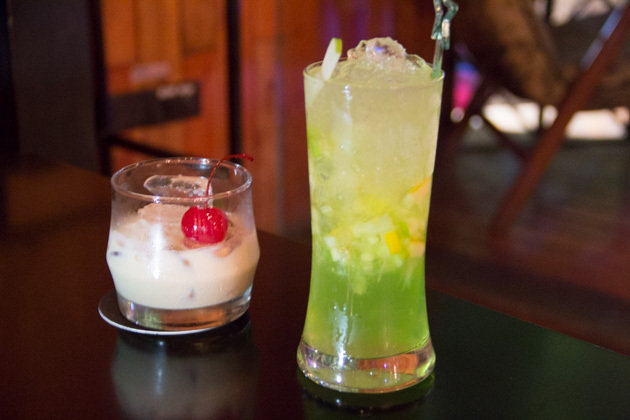 Happy hour starts from 5-8pm, so be sure to swing by for some exquisite drinks in a small and cozy bar. As mentioned it is really small so table reservations are extremely recommended. After 9pm, the bar will be really packed. 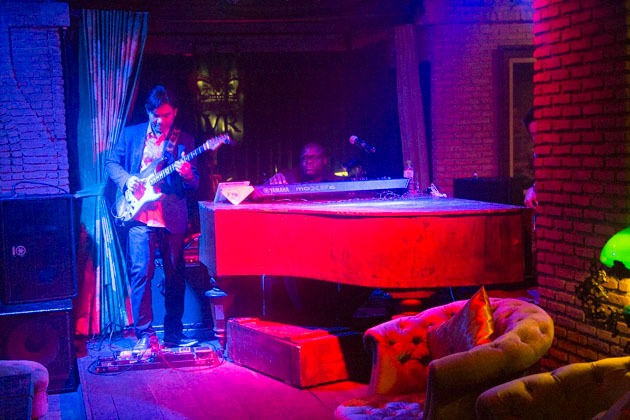 Live Music on Wednesdays, Thursdays and Saturdays start from 8:30pm-11pm. Quirky lineup of international and local talent including bands such as Will Corbin, Daniel Bates, Strange Idea, Chasing Ghosts, and many more. 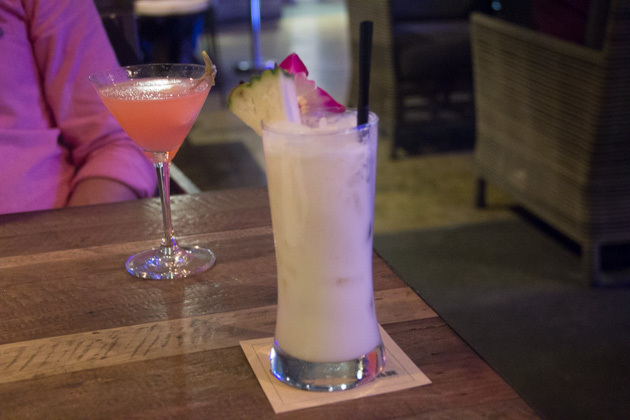 If you are looking to have your drinks over really good live music, Alchemist must be on your list. 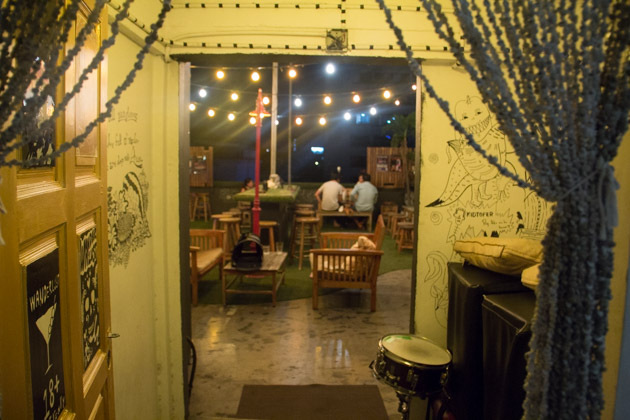 The Iron Fairies is an interestingly unique magical-fairytale jazz bar serving one of Bangkok’s best burgers and drinks. It looks like a mystical workshop with alcohol as its tools. Inside, you see very minimal lighting and it may be a little hard to navigate your way around. Stairs are all over, and various spots to take your seat and enjoy. Oh, they have (really fantastic) live bands stationed mysteriously in an elevated corner of the place, delivering soothing songs to accompany your meals. 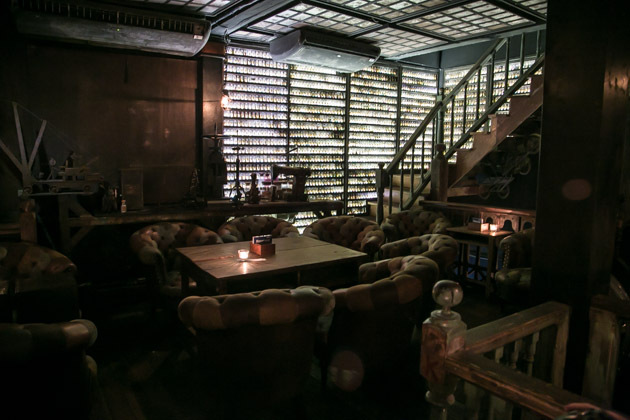 The smoking room is also hidden behind a secret shelf wall, so ask around if you can’t find it. 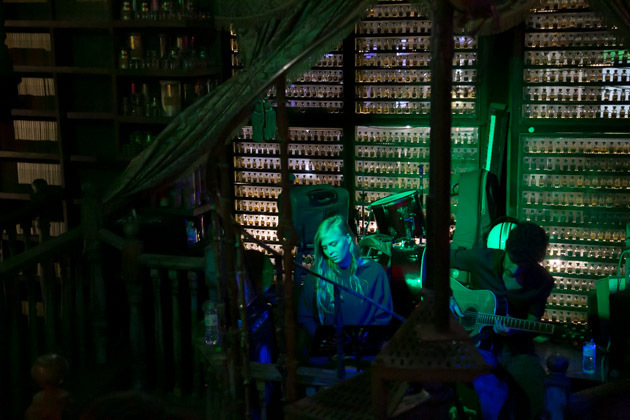 Another awesome creative bar designed by Ashley Sutton, the dim atmosphere will definitely bring you to another world. 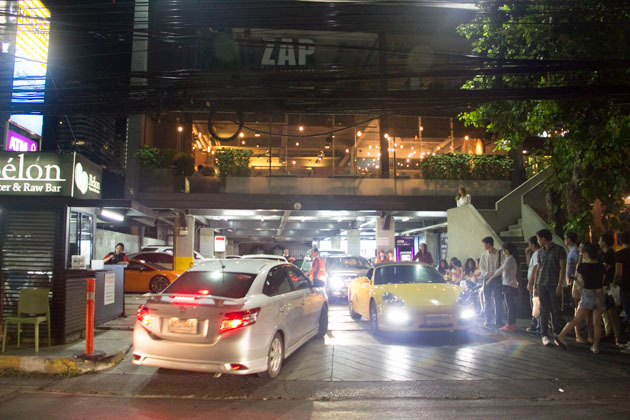 Wine Republic is very prominent and easy to spot as it is right smack in front of the bustling street of Thong Lor along the roadside. Boasting a spacious indoor seating on a double-storey building, they also have a decent space for outdoor seatings available for patrons who wishes to smoke or just have an al fresco experience. They also have two separate bar counters on both levels. Definitely one spot you can bring your partner for drinks over a romantic settings. In the ever-thriving SeenSpace mall, lies a couple of pubs and bars popular with mostly tourists. 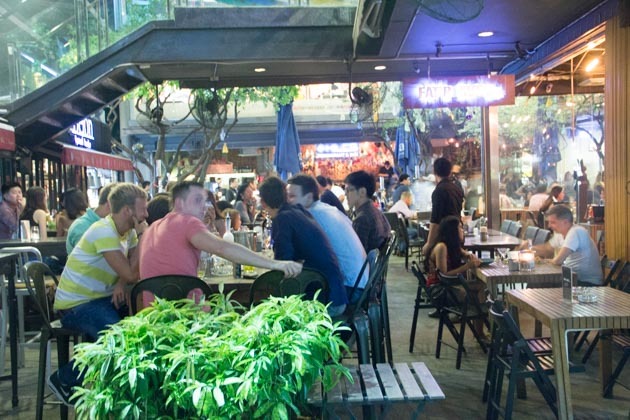 One outstanding one is Brew Pub, which claims to have the largest stock of beers and ciders in Bangkok, catering to thirsty travelers who want a change from the usual Chang, Singha and Tiger. 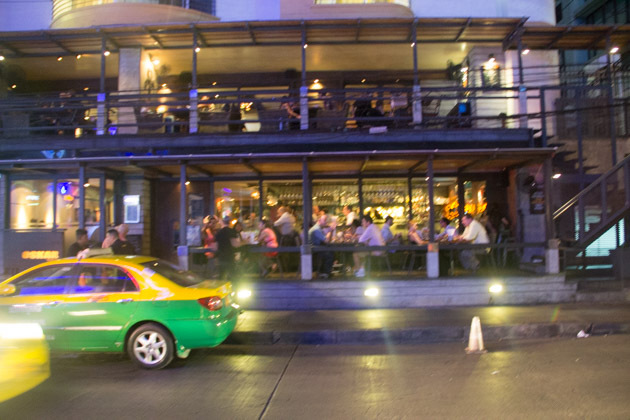 Brew pub is on the ground floor of SeenSpace, which is an open outdoor and common place on Thong Lor Soi 13. 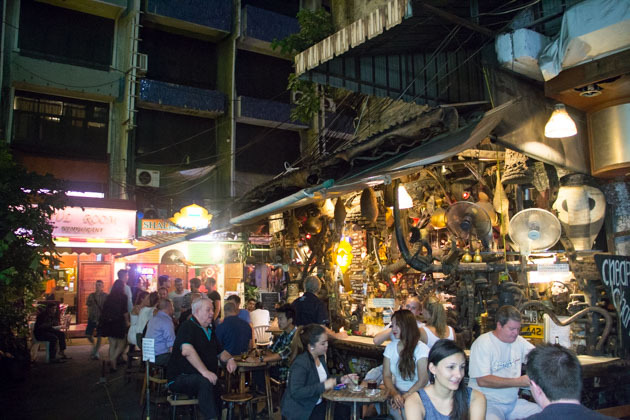 Also recognised as one of the most fashionable districts in the city and a favourite of many Thais, old and young for good beers here. Shisha is also available here, and it gets very crowded on the weekends. Book a hotel in Bangkok!